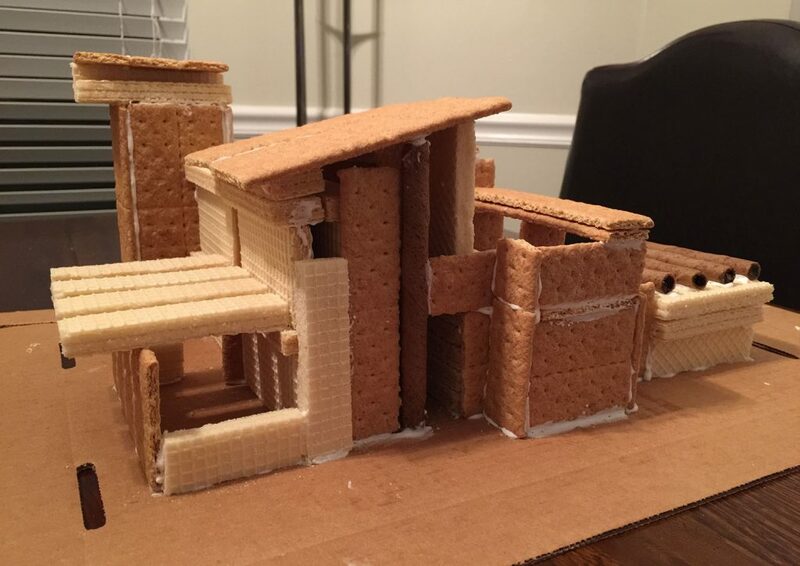 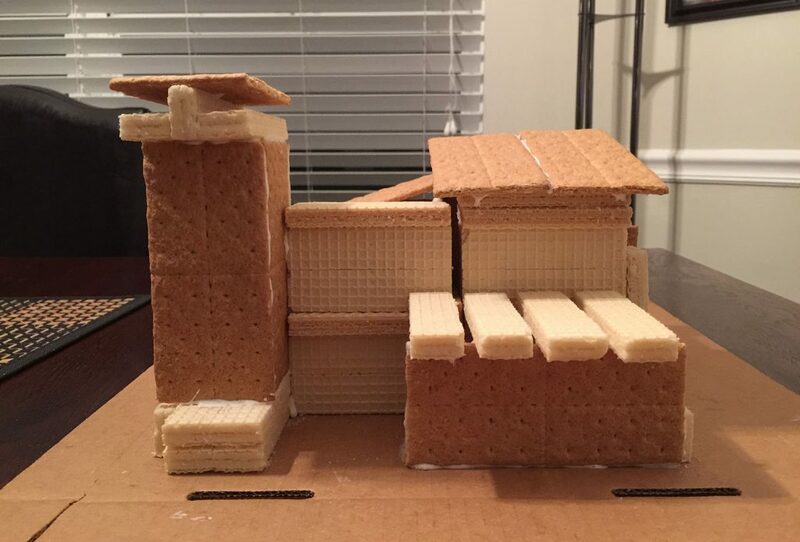 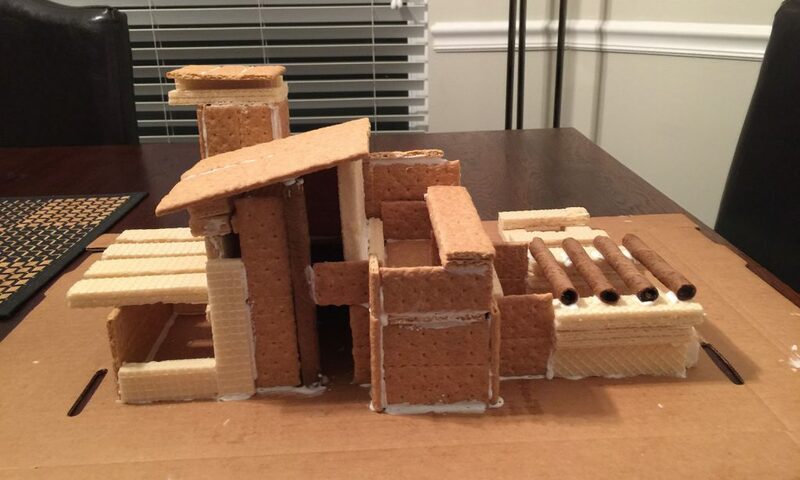 Progressing the architecture of the gingerbread house was the goal of Principal, Thomas Jones who created this alternative to a traditional house design. 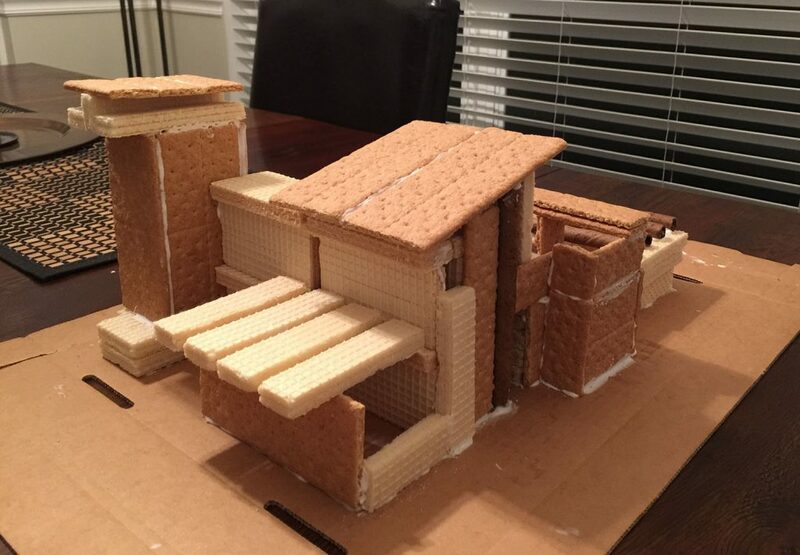 The reason he did it was to check it off his holiday bucket list since he had never attempted to build a gingerbread house. 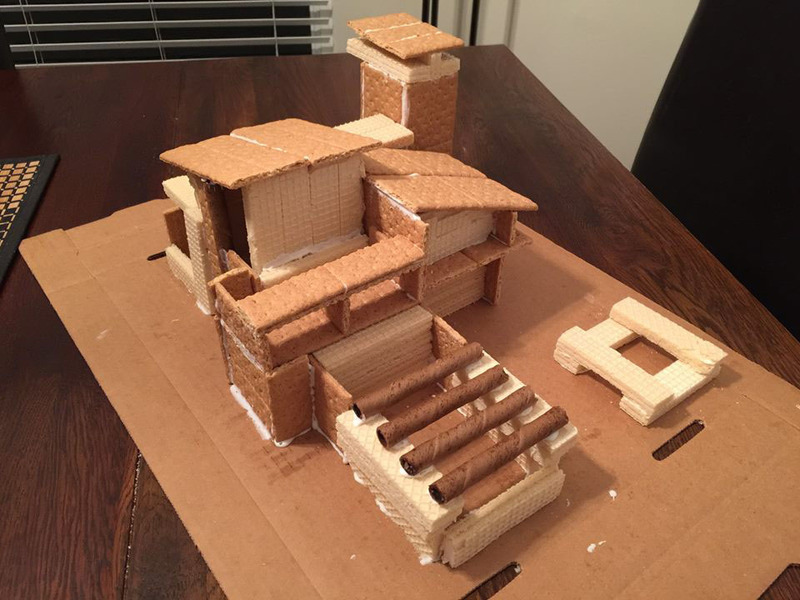 We are not sure this was an authentic attempt!